I'm a huge fan of Door County Coffee and when I tasted their 'Raspberry Sorbet' coffee I immediately knew I wanted to use it in a dessert. 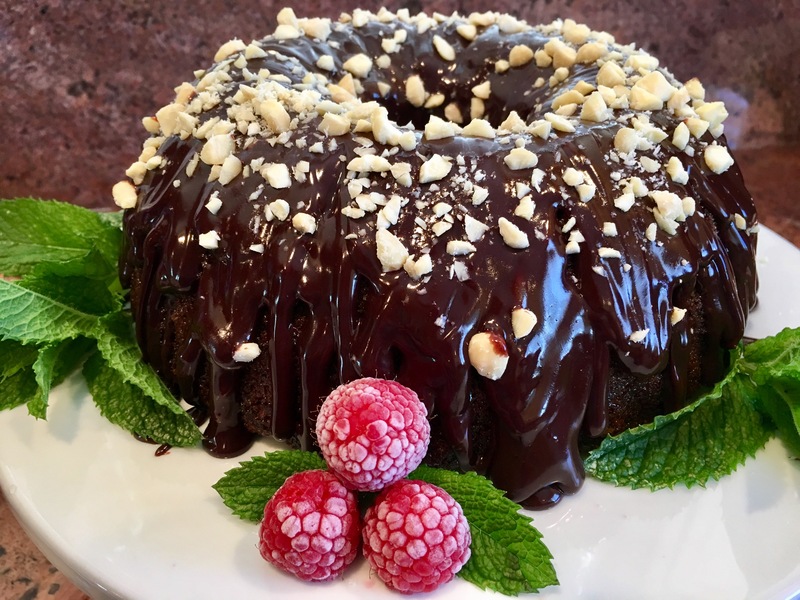 This Bundt cake is saturated with 'Raspberry Coffee Syrup' to keep it moist and then it's been topped with 'Chocolate Fudge Drizzle' and toasted almonds. It's a 'Show Piece' that feeds a crowd! P.S. This recipe WON the 2017 Door County Coffee recipe contest-a National recipe contest. Preheat oven to 350’. Grease and flour a 10 inch bundt pan. Add 1/4 cup coffee grounds and 1/2 cup almonds to food processor and pulse until finely chopped. Set aside. Beat butter and sugar together; add coffee/almond mixture. Add eggs one at a time; beat for 2 minutes on high. While that is beating: in a small bowl whisk together flour, baking soda and salt. Combine 1/2 cup brewed coffee with milk. On low speed, add flour in 3 additions alternately with coffee-milk mixture to butter mixture, just until blended, scraping sides of bowl as needed. Pour batter into prepared pan; smooth top with spatula to even. 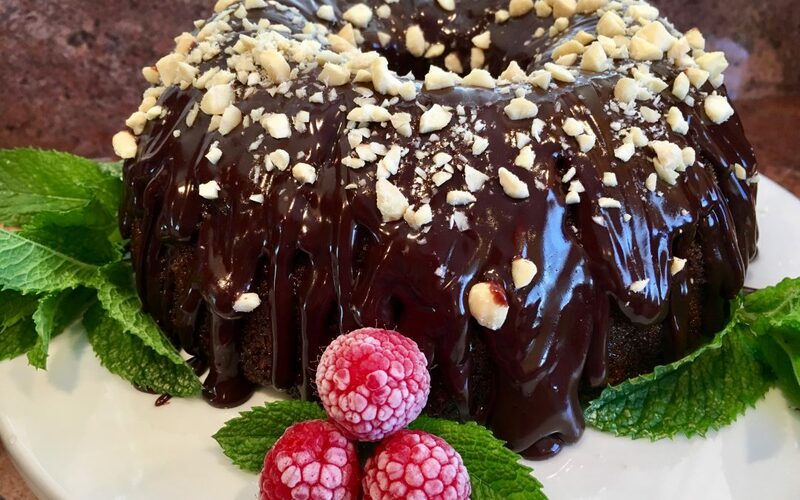 Bake for 45 minutes in preheated oven; or until wooden pick inserted in center of cake comes out clean. When cake is done cool on rack for 15 minutes. Invert cake onto cooling rack. Set rack over a pan. 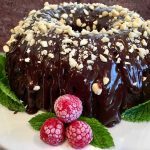 Brush warm cake with 1/3 of the warm Raspberry Coffee Syrup; flip cake over and brush with remainder of syrup until all of the syrup has been absorbed into cake. Let the cake sit until room temperature, then invert onto serving plate. Refrigerate cake until chilled. While cake is baking make Raspberry Coffee Syrup: In a small saucepan combine 1 cup brewed coffee with 1 cup sugar; bring to a simmer. Simmer until thick and syrup consistency (about 30 minutes). In a medium bowl place semi-sweet chocolate chips and heavy whipping cream, microwave on high for 2 minutes. Stir with whisk until smooth. Refrigerate until almost set; thick enough to drizzle on cooled cake without it running off. Sprinkle with 1/4 cup chopped almonds. 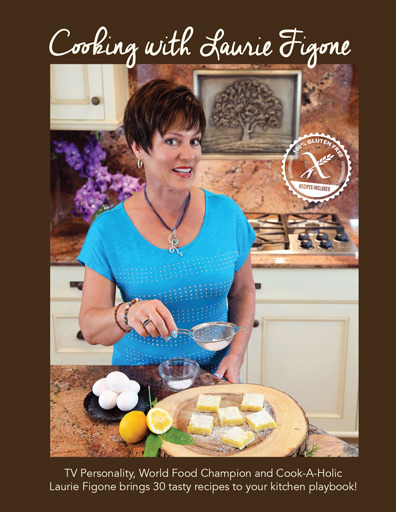 Best refrigerated overnight…but if you can’t wait…I won’t judge!